Acesleep Mattress Review was recently completed by the MattressJunkie.com team. Acesleep is a direct to consumer mattress company located in California. Acesleep’s mission is to create a sleep system that helps people sleep better. Creating the most comfortable mattress at the best price is Acesleep’s top priority. 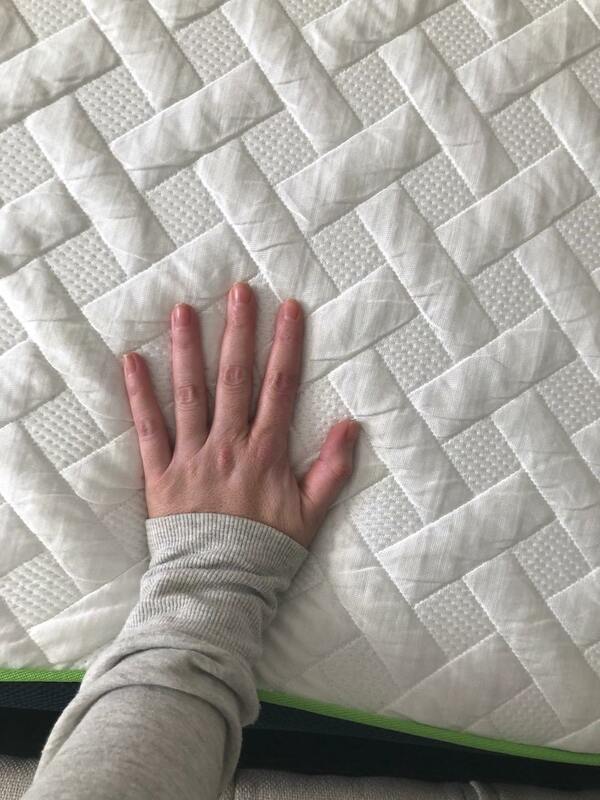 Acesleep sent over a king sized mattress for the purpose of this review. Check out more of our thoughts on the Acesleep Mattress below. Acesleep has my new favorite mattress cover. The Ice Silk Fabric cover is cool to the touch and sleeps 5 degrees cooler than traditional mattress covers. The cover keeps your body temperature down while also helping you fall asleep faster. The zippered cover is washable and fire proof. Acesleep’s mesh sides on the cover also allow for maximum airflow and temperature regulation. What’s Under The Acesleep Mattress Cover? Under the Acesleep cover is 4 layers of memory foam. The top layer is an open celled, plant based memory foam 2.5 inch layer. Open celled, plant based memory foam sleeps 25% cooler than traditional petroleum based polyurethane. Under the open celled foam layer is a 2 inch layer of bamboo memory foam. In addition to temperature regulation, the bamboo charcoal infused foam is antimicrobial and dust mite resistant. 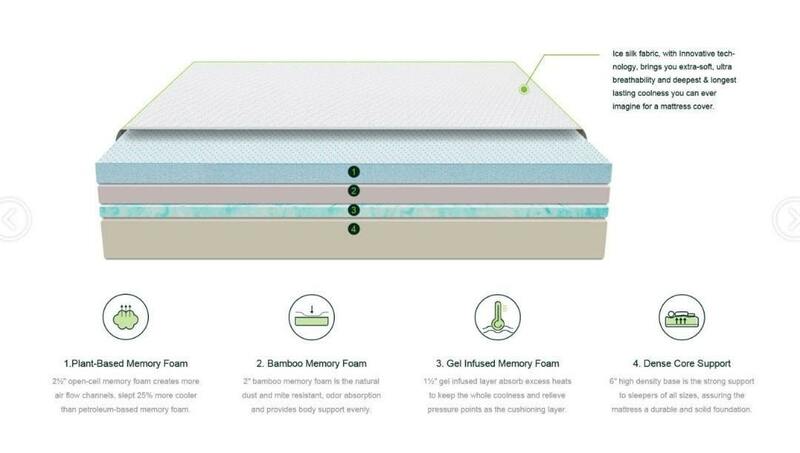 The 3rdlayer of the Acesleep Mattress consists of 1.5 inches of gel infused memory foam. Gel infused memory foam manages temperature by transmitting excess heat. This breathable layer also provides contour and pressure relief on key parts of your body. The 4thlayer of high density base foam is 6 inches thick. High quality base foam is crucial to long term support and the overall durability of your mattress. 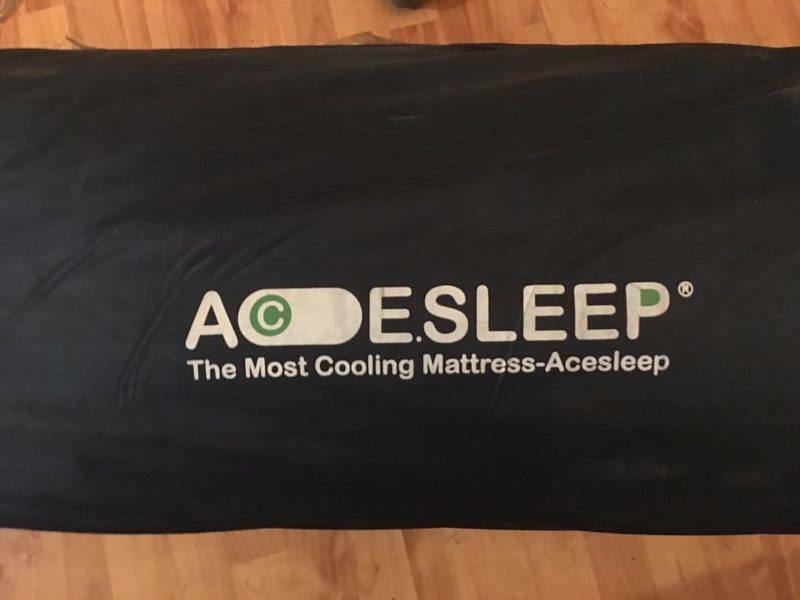 Does the Acesleep Mattress Sleep Hot? Every layer of the Acesleep Mattress is designed to regulate temperature. Traditional memory foam mattresses slept like a furnace. Acesleep’s Icy Silk cover sleeps incredibly cool. Each layer of foam is designed with maximum temperature regulation. What Sleep Style Works Best With The Acesleep Mattress? Acesleep is a medium in terms of firmness. The soft, plush feel relieves pressure and is very comfortable for side sleepers. Back sleepers who like a softer foam sleep surface will also love the Acesleep Mattress. Is the Acesleep Mattress free of harmful chemicals? Acesleep is Certi-PUR-US and OEKO-TEX certified so no harmful,chemicals or substances were used to make your mattress. What Type Of Sleep Trial and Warranty Does Acesleep Offer? Acesleep gives you a 120 night sleep trial to make sure you are happy with your new mattress. If you decide Acesleep is not for you, Acesleep will give you a full refund within that 120 night period. Acesleep also has a 15 year warranty on manufacturer’s defects. As a side and back sleeper, memory foam mattresses are always the most comfortable to me. Acesleep’s medium firmness and phase change gel cover provided a top notch sleep environment. 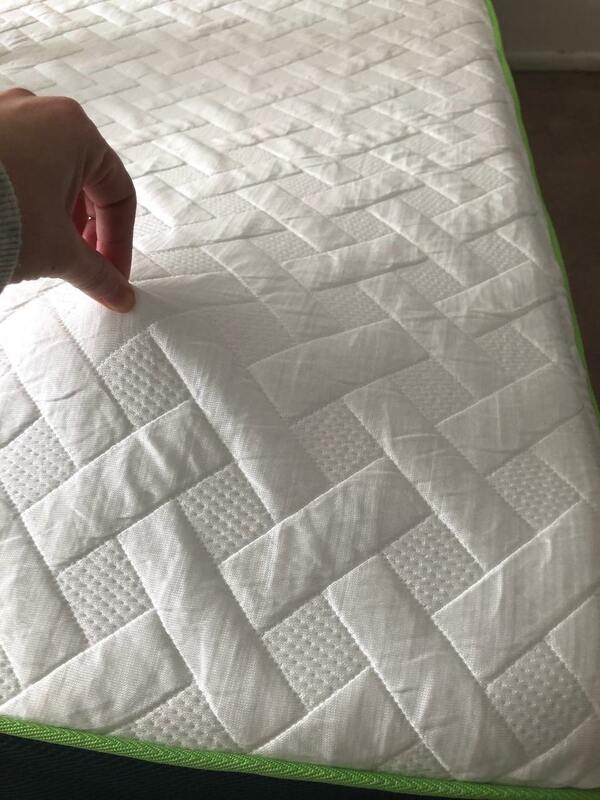 The mattress cover is one of the nicest and highest quality that I have seen. Sleeping 5 degrees cooler makes a massive difference if you tend to sleep hot. The pressure relief of memory foam will alleviate back pain and keep you from waking up sore. If you are a side sleeper or back sleeper who tends to sleep hot, I highly recommend trying out the Acesleep Mattress. Learn More About Acesleep Here…. ACE100 saves you $100 on any mattress purchase.